I attended the Rimmel London Twitter party back in June and won auto qualification for a fall VoxBox. 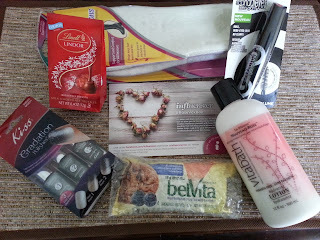 I got a pre-survey for....DRUM ROLL PLEASE The Rose VoxBox! 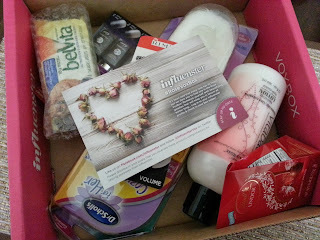 I literally just got my VoxBox and I had to share all my goodies. 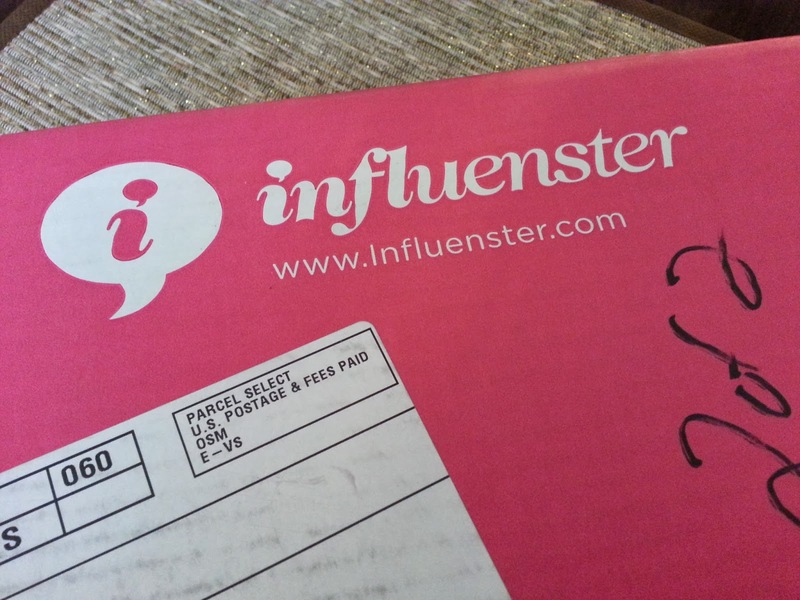 If you don't know what Influenster is you are seriously missing out on some awesome stuff! You can learn more about it here. Oh Lindt Lindor Chocolate is my FAVORITE! I'm excited for the mascara! The first thing i noticed was the Lindor truffles! They are so good! I love Dr Scholls for her, for high heels, but havent tried the regular ones. I agree Lindor is my favorite! This is my first time trying these Dr Scholl's I'm pretty excited.. I loved my last Dr Scholl's! Looks like an awesome box! The Kiss Gradation Polishes and Vitabath Hydrating Lotion seem interesting to try! Fingers crossed, the lotion smells AMAZING!!! I am so jealous. I want that lotion. I am currently doing the Varsity VoxBox though. I got the pre-survey, but they were too many applicants that I didn't get it. Hopefully I get the other box. The same thing happened to my friend, she's getting the Violet VoxBox! I'm super Jelly!! I want a box like that!! I have some of the white chocolates here at the house. I love it when I get boxes through them! Always has great products! I agree, I was getting sad because I wasn't getting an actual VoxBox just one product to test at a time! The nail polish looks awesome!!! I think I'm going to try it out on Lily, it kind of matches her Halloween Costume! Aaaaah I'm so jealous of the mascara and polishes and chocolates and lotion! What a diverse box....definitely jealous of that mascara though, I've never gotten a Voxbox with mascara and it's my favorite! I always get a lot of makeup products and honestly I hardly wear makeup, but I'm really excited for this mascara!! !